In 7th printing from Penguin Random House Poets and Writers Magazine The Time is Now "Book of the Week"
The Story Within employs the art of memoir to illuminate craft. 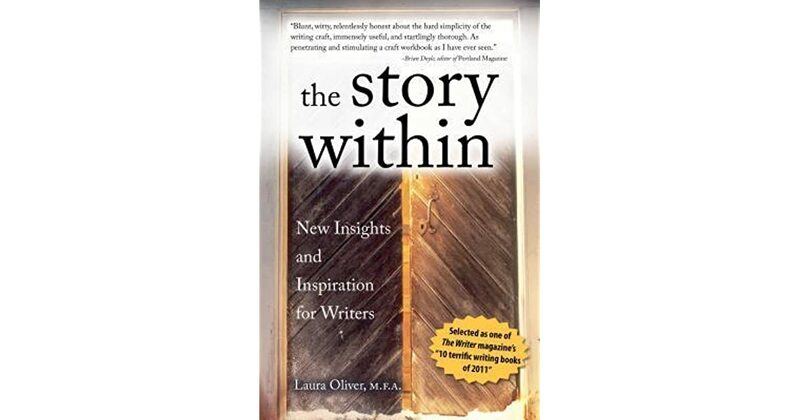 Oliver weaves anecdotes from her life as writer, mother, teacher throughout this book, infusing each engaging story with fresh advice and inspiring prompts. New subjects addressed include how to use the latest discoveries in neuroscience and quantum physics to facilitate success; how to thrive in the tension between fiction and non-fiction; how to cultivate literary intuition; and how to use even a past we may regret, in a way that transforms us with good will. Traditional subjects are also covered, including: finding subject and voice, inspiration, creative points of entry, how to plot, dramatize, maintain tension and eliminate writer’s block. The Story Within enlarges the heart and reveals once again that the power of story is unsurpassed for teaching writers to write. "Packed with new ideas and deeply engaging. The Story Within inspires, instructs and entertains. Laura Oliver is an immensely talented writer, teacher and storyteller. This book is so fun to read and will make you a better writer." - Jon Franklin, winner of the Pulitzer Prize for Explanatory Journalism and the Pulitzer Prize for Feature Writing. "Laura Oliver was my teacher and in this book, she captures what I love best about her in that role. She blends qualities of humor, kindness and understanding of the writing process. Her work here is important for the concrete techniques of getting the better of those demons but more specifically I think, is the way she makes you feel like you've internalized a friend, your better self that she shows you, again and again, is the ones who made you want to write in the first place." - Doris Kamenetz, writer.